I recently spent a long weekend in Killarney with my husband and wanted to mention a couple of places that were great for coeliacs. The first is Aghadoe Heights Hotel where we stayed. Gluten free is absolutely no problem here with bread available with all meals and very good knowledge of the condition by the staff there. We had a five course meal as part of our hotel package and almost everything (including all soups and sauces) was already gluten free. For dessert, I got my own chef’s selection of miniature desserts including a chocolate mousse and berry pannacotta. Apart from the food aspect, the hotel is fabulous and yes, pricey. If you are seeking a bit of luxury on a weekend break, look no further. On doing the obligatory google of ‘Coeliac Killarney’ before the trip, I came across review for a chipper in the town centre which offers gluten free options. Allegro (Plunkett St) did not disappoint. They have a separate gluten free menu including many types of burgers, fish is available depending on the day and of course, chips. YUM. I visited The Laurels on the main street in Killarney for lunch and while they do not have items noted as GF on the menu, the staff were very helpful in checking this for me and I have a lovely baked potato with filling and side salad with no ill effects. A place that I notice had GF options listed on the menu was the Ross Hotel however, I did not eat there. 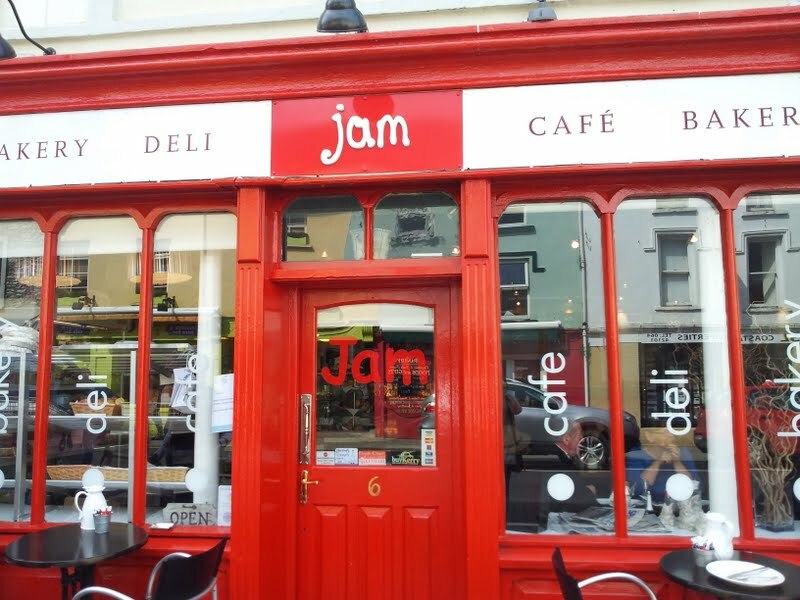 My favourite find was Jam cafe which I visited in Kenmare but also has locations in Cork, Tralee and Killarney town. I arrived in weak with hunger and was delighted to find their soups and many hot food items were gluten free. Not only that, they had homemade gluten free scones and muffins! 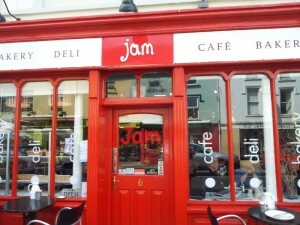 I enjoyed a lovely broccoli soup followed by a fresh heated scone with butter and jam. What more could you want as a coeliac. Luv this page, one place I came across that had its own gf menu , plus yummy food was the Castle Hotel Macroom Co Cork, well worth a visit. Thanks so much for this. Am traveling to Killarney with my daughter and it is so helpful when I find reviews of places she can eat! Much appreciated!